Nowadays, music and videos are readily available in different online formats. We can stream any song or play any video that we want with just a click of a button. However, we all know how sometimes playing music or video on our phone is just not cutting it; something is lacking. If we want to enjoy movies on a wider screen, then it is a must that we have a reliable home receiver—something of quality but does not create a hole in our pockets, to make this possible. How about getting the best home theater receiver under 300? In this article, we will thoroughly discuss five of the most favorite home theater receivers on the market today. We will cover their features, pros, and cons, and we will then compare them to each other to help you decide which one suits your preferences best. First on our list is this AV receiver from Yamaha. It has Bluetooth capabilities and also supports 4K Ultra High Definition video and HDR or High Dynamic Range which is a pretty big thing in today’s competitive media industry. The difference between HDR and non-HDR videos and photos are fairly noticeable. 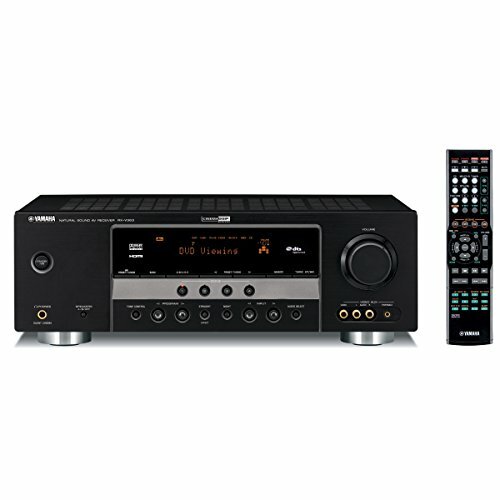 Luckily, this AV receiver supports this format which is ideal for anyone who values clarity and richness in their photos and videos. When it comes to sound quality, this receiver has a 5.1 channel with surround sound. It enables the user to experience magnificent sound fidelity and provides optimal viewing as well as listening experience. It also makes use of YPAO sound optimization. Simply put, YPAO automatically adjusts the settings so that you are guaranteed that audio quality is at its best. To top these off, you will be delighted that the Yamaha AV Receiver has a one-touch button which means you can easily configure the settings with just one click. Meanwhile, if you are partial to your bass, then you will find the Yamaha receiver’s technology to be within your standards. It enables the listener to feel a richer bass, and it will change the way you listen to your music. Next up is the Denon’s AV Receiver. 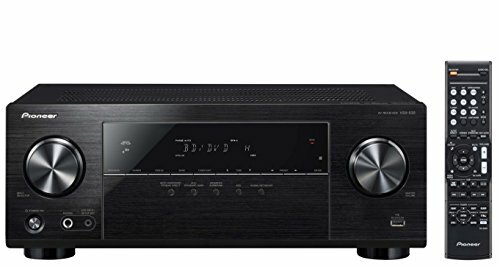 This AV receiver combines high-quality performance and fantastic features. 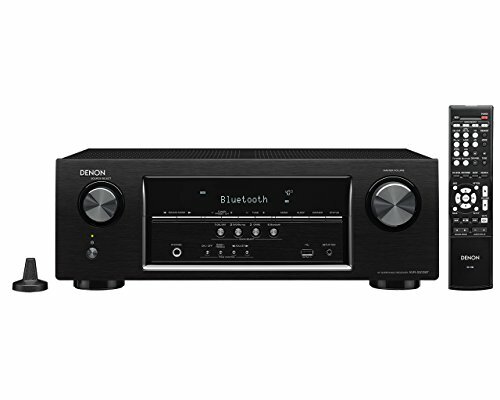 For one, the Denon AV receiver supports Bluetooth, so you can easily pair your device with this receiver. It is even capable of remembering up to eight devices so that your friends or significant other can connect with ease. They can start streaming music without the need to pair up every single time. With HDMI being more of a standard, Denon takes it to the next level by providing five HDMI inputs. Aside from that, it supports 4K Ultra HD media. If you are still looking for other ways to connect, then you will be glad to know that it has a USB port to let you plug in your USB devices. It also is capable of playing different file formats from MP3 to FLAC. Moreover, if you are the type who easily gets confused with setting up equipment, then the Denon receiver is definitely for you as it is surprisingly easy to set up and use. It also comes with the popular Denon remote which gives you more accessibility and options. You just simply need to download the app which works on both Android and iOS. From this app, you can then manage your Denon receiver’s functions. You can increase or decrease volume, turn the receiver on or off, or even press mute. All these functions are available at your fingertips. Third on our list is the STRDH130 Sony receiver which is a two-channel stereo receiver. Its manufacturer, Sony, is known to produce excellent sound quality with their equipment. This receiver will give you an optimal sound and fantastic viewing experience. Moreover, it has a power of 270 watts which provides nice audio pleasure at any given time. 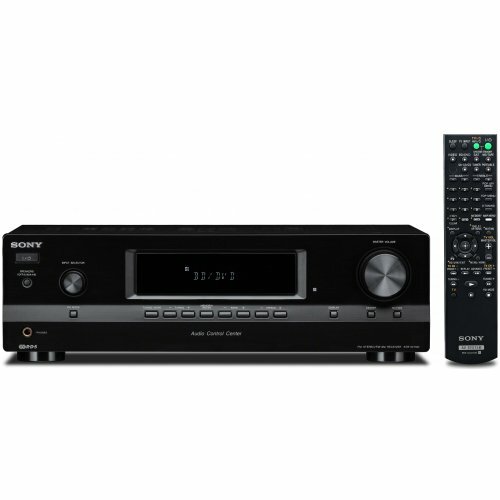 Aside from its robust power, the Sony receiver is also capable of handling five audio inputs and two audio outputs. If you have multiple pieces of equipment in your home theater, then the abundance of inputs is desirable. If you are like most people who get tired of switching equipment on and off especially if you use it often but want to save energy still, then you can make use of the Auto standby feature of this product. This particular feature lets the receiver go into standby mode when it is not used for 30 minutes. Additionally, this receiver also has an FM and AM tuner. If you want to listen to your local stations, then you can do so with this equipment. Just remember that the stations received by the device will still be dependent on your location or signal. Last but certainly not the least for the Sony Stereo receiver is its connectivity. You can connect your smartphones, MP3s, and other devices easily and without a hassle. When you compare it with the other contenders, the Sony stereo receiver might be a little outdated or old-school for the techie’s taste, but it is still very functional. To complete your home theater experience, you should get to know the Pioneer AV receiver. This receiver displays excellent video quality. It is also compatible with HDCP 2.2 which allows you to watch 4K videos. Aside from 4K HD media, the Pioneer receiver is also compatible with the HDR technology. This provides a video output that has a nice combination of brightness and contrasts making the video or photo appear to be life-like. Moreover, Pioneer uses MCACC which stands for Multi-Channel Acoustic Calibration System, for the best acoustic experience. It automatically adjusts the settings of the system to make the acoustics as best as possible. It also makes watching or listening in your home theater a great experience because of the supreme sound quality. If you ever feel inadequate about your current speaker because of its limited capacity of files played, then you will love this receiver. It can play different files such as WMA, AAC and the usual MP3. When it comes to connectivity, this equipment does not falter. It has a built-in Bluetooth so that you can connect your device and start streaming music. On the other hand, if you prefer to go the USB route, then you will not be disappointed as this receiver has a front USB input so you can connect your memory stick and start enjoying good music. Last on our list of the best home theater receiver under 300 is Onkyo’s 2-Channel Stereo Receiver. It may seem like a simple receiver, but Onkyo can get the job done and more. If you have a television that does not produce great or powerful sounds, then you can hook it up to this receiver. However, despite that, this stereo has no surround sound capability. Fortunately, it is compatible to work with your usual players whether Blu-ray or CD. Additionally, it may not all have the fancy features compared to the other receivers we enumerated, but the Onkyo receiver has a nice analog power. It is easy to configure and can complement any home theater system. If you are more particular with your music’s bass, treble and balance, then this receiver is for you. You can even adjust and set it up to your liking. But the redeeming quality of this Onkyo receiver is that it includes a Phono input. Now you can easily connect your turntable which is not possible for some of the receivers we featured in this article. Furthermore, when it comes to connectivity, this two-channel stereo is compatible with Airplay. You can connect your iPhone, iPod or iPad seamlessly. On the other hand, if you are looking for Bluetooth compatibility, then this Onkyo receiver will disappoint you. Sadly, it does not have Bluetooth or WiFi compatibility. Although we can’t cover every home theater receivers there is, we have reviewed quite a few. For now, we hope you already have a good idea of the range of receivers that are available on the market as well as their varying features. If you want the simplest one for your home theater system, then go for the Onkyo receiver, the no-fuss, and no-frills kind. Still, even with its basic features, it can pack a punch with its superior sounds and powerful audio. Price-wise, it is cost-efficient and one of the lower priced models featured in the article. Now, if you want more features but still competitive prices, then your best bet is the Denon Bluetooth AV receiver. It is packed with a lot of fancy features like the Denon 500 series remote and application. It can completely make your life easier and better because you can control the settings centrally through the app. It also supports different outputs for connectivity like Bluetooth, USB, and HDMI. The only thing missing is WiFi. For its price and quality, you are getting your money’s worth with the Denon receiver. On the other hand, if you have money to spend and features are on the top of your list then you should stick with the Yamaha receiver. With its higher price point, it also comes with unique features that you will not be able to see on other receivers. It boasts of YPAO sound optimization which is perfect for any home theater. There is no need to fuss because it automatically adjusts its settings depending on the room’s acoustics. Simply put, YPAO will do the job for you. It also comes with other features such as full 4K HD support, richer bass, and Yamaha’s Cinema DSP technology. However, the two remaining receivers Sony and Pioneer are still good contenders. Both have competitive pricing and features. It now all boils down to your preferences and requirements. Overall, it is best to keep an open mind when buying your home theater receivers. There are various features for each one, but sometimes you will not be able to maximize all of them. So if you just have a few non-negotiable features, it is always good to go with the better price point and quality ones. Remember that a home receiver is an important component in your home theater. Technically, the receiver will be the heart of your home theater system as it will provide an easy way to connect everything and make it possible for you to stream any music, video or playlist with ease. Moreover, always look out for those receivers that allow you to expand and complement your existing home theater system. This way, a few years down you can still upgrade and mix up your current setup. If you are still undecided, then the next best thing is to do your research and read reviews. Be patient as receiver shopping may take some time, but it will all be worth it once you find the right one. Now buying the receiver is just the first step, setting it up is another story to be dealt with in another article.